Red Hat Decision Manager is installed on Red Hat JBoss EAP 7.1. For information, see Installing and configuring Red Hat Decision Manager on Red Hat JBoss EAP 7.1. For more information about RH-SSO, see the Red Hat Single Sign-On Getting Started Guide. Decision Central is installed in a Red Hat JBoss EAP 7.1 server, as described in Installing and configuring Red Hat Decision Manager on Red Hat JBoss EAP 7.1. Decision Central is installed in a Red Hat JBoss EAP 7.1 instance, as described in as described in Installing and configuring Red Hat Decision Manager on Red Hat JBoss EAP 7.1. 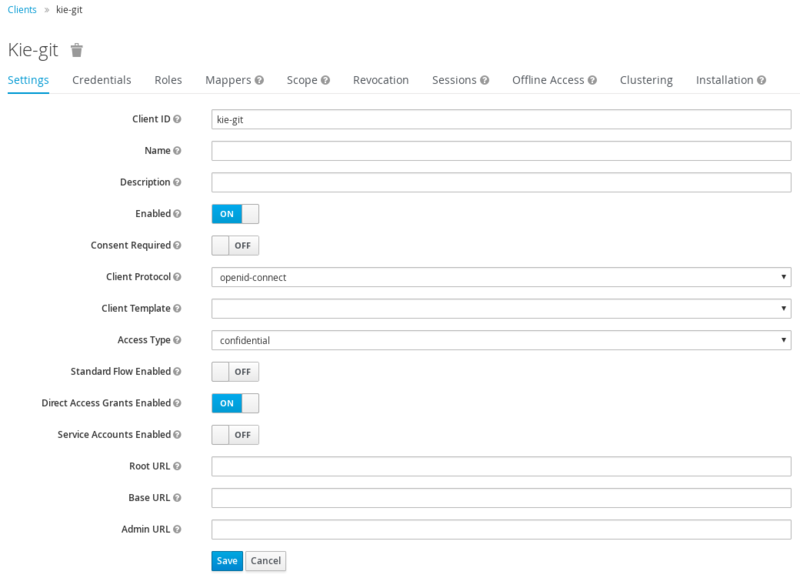 Decision Server is installed in a Red Hat JBoss EAP 7.1 instance, as described in Installing and configuring Red Hat Decision Manager on Red Hat JBoss EAP 7.1. Decision Server is installed in a Red Hat JBoss EAP 7.1 server, as described in Installing and configuring Red Hat Decision Manager on Red Hat JBoss EAP 7.1.